As the helicopter lifted from Townsville Airport, I was already overwhelmed with excitement. After all, a 30-minute scenic helicopter transfer over the islands off the coast was probably one of the best resort check-ins I had ever experienced. There in front of me, situated amidst the crystal-clear waters of the iconic Great Barrier Reef, was Orpheus Island. This unspoilt tropical paradise stretching across 11km of immaculate turquoise coastline also comprises of 1,368 hectares of pristine National Park and surrounding World Heritage-listed Marine Park. Definition of paradise. Greeted with a glass of bubbles (could it get any better? ), I took in my surroundings to become better acquainted with my paradise home for the time being. Nestled in the sheltered Hazard Bay on the western side of the island, the luxury lodge is laid without fanfare along a ribbon of serene beach and features laid-back boutique accommodation, a main pavilion bar and alfresco-style dining area, a restaurant, a reading room, Gwandalan Day Spa, an inviting 26m x 13m infinity pool that mirrors the Coral Sea. I had a quick briefing of what was what and where to find it. At this point, I felt terribly overdressed and uptight to be there, so I was eager to get to my room, kick off my shoes, slip into my swimwear and mellow into this island life. That is the best thing about Orpheus Island Resort, while oozing five-star luxury and all those finer things, it is not at all pretentious. The relaxed vibes were as chilled as my glass of bubbles. 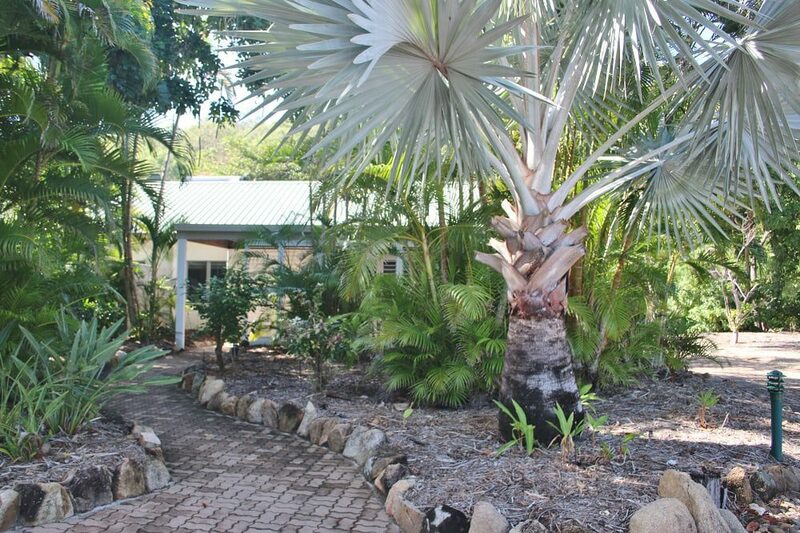 The accommodation is spread out, offering an intimate and exclusive feel. I opened the door to my beachfront suite and fell in love. Was it possible to pick up this suite and take it home with me? It was the beach house of my dreams. Featuring open-plan living and high ceilings, the suites provide the perfect hideaway. 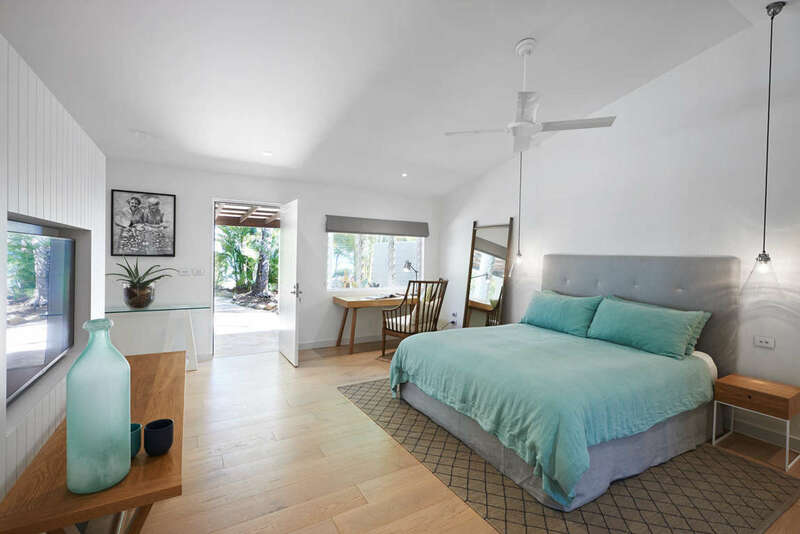 The interiors are beachcomber chic and showcase soft natural surfaces and exquisite details that sit in harmony with the beaches and coral cays. The furniture is relaxed and imbued with a sense of style. The suites are complimented by private cobblestone courtyards at the rear with an outdoor stone bath big enough for two. While I could have just stayed in that suite and relaxed in all its glory forever, I was keen to get out and explore the island. Orpheus showcases a plethora of once-in-a-lifetime experiences and I was going to do them all. It started with a simple beach walk, where the sharks and rays cruised the shoreline close enough you could touch them. On high tide, you can swim straight from the beach and snorkel, however, I was told of a nearby Giant Clam Garden, so opted for that. 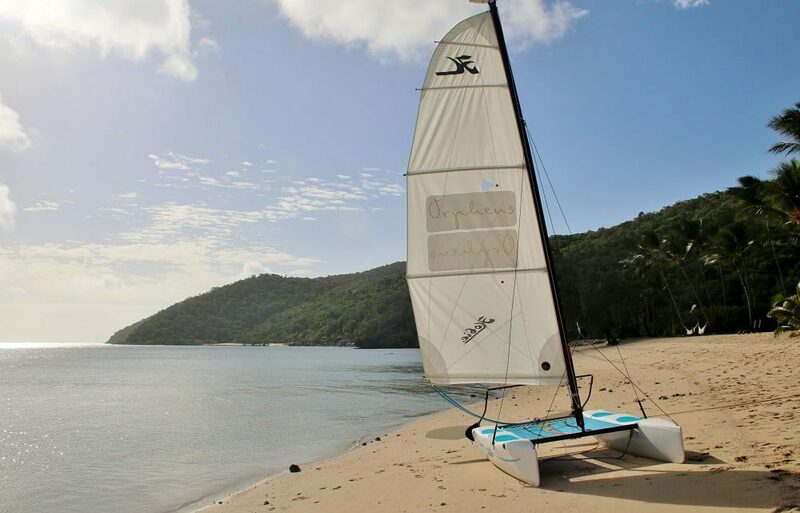 The best part was guests can jump in their own motorised dinghy to venture out into the countless magnificent bays fringing the island to experience absolute seclusion. So, I had the reef to myself. Being an ocean lover, I took every chance I could to enjoy it over my stay. From mornings on the stand-up paddle boards and lunchtime catamaran adventures to taking a sea kayak and exploring the nearby mangroves where rays were a plenty. There was so much to keep me busy. 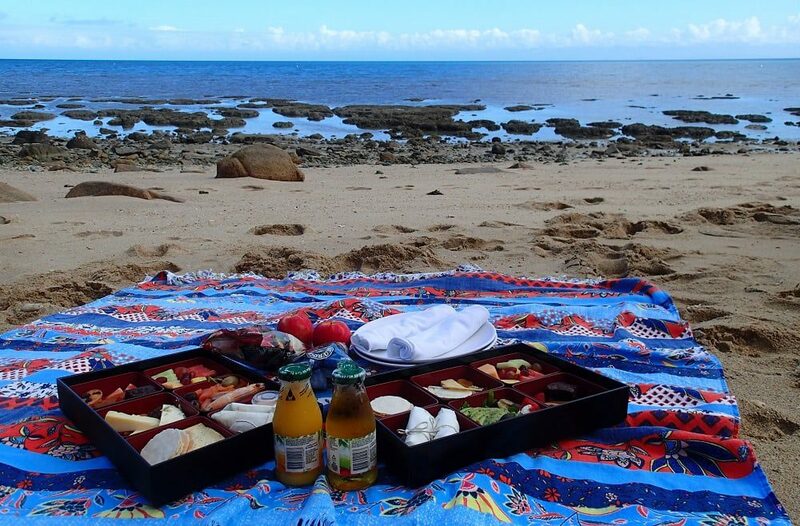 The staff at the resort are so fantastic, they will even pack you a gourmet lunch picnic to take with you on your adventures, and in my case, it meant a beach picnic around at a neighbouring bay to where the resort is. Other dining experiences on the island are just as unique, so I suggest picking a night when the skies are clear and you can see the stars, to enjoy an intimate dinner for two on the pier while the setting sun highlights the Coral Sea’s pristine waters. What I liked about Orpheus Island is the ongoing process of conservation is at the very heart of Orpheus’ philosophy and, as part of the island’s continuing endeavours to safeguard the environment. They have implemented a number of sustainable measures to ensure an eco-sensitive aura pervades the island, from eradication of harmful fauna and flora and the replanting of lost species of flora to sustainable vegetable gardening and farming patch which provides the chefs with a constant supply of fresh produce for guest meals. There is a state-of-the-art waste water treatment plant that allows 100% of the water to be recycled and used for irrigation and watering and best of all, instead of using those horrid water bottles you get a re-usable water bottle which also is a nice souvenir of your time on the island. Prices start from $2,300 per night, for two guests and include all gourmet meals, complimentary inclusion of selected regional wines, beers and soft drinks, Orpheus experience daily – snorkelling & nature based guided activities, unlimited use of motorised dinghies, paddle boards, catamarans, sea kayaks, snorkelling equipment and light fishing tackle. Rates are not inclusive of helicopter transfers to/from Orpheus, click here for further information. 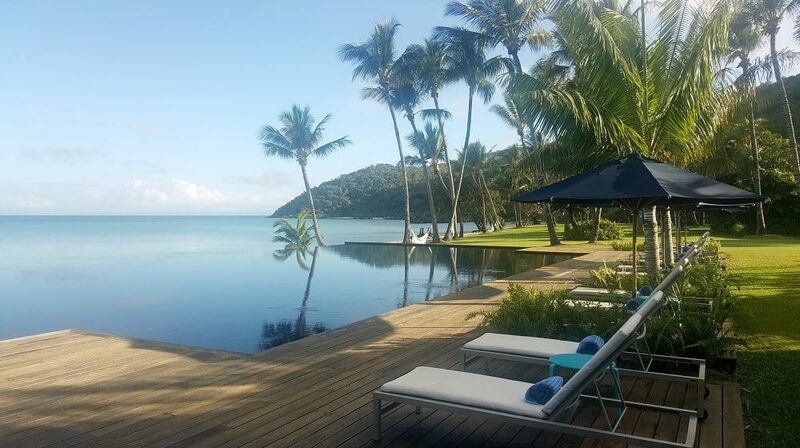 To read more about my stay at Orpheus Island, check out the below articles. While I was hosted by Orpheus Island, they have not approved nor edited any of these articles and all words are my own.